US-based oil/gas company ExxonMobil has signed a cooperation framework agreement with the Guangdong province in China to advance discussions concerning the proposed construction of a chemical complex in the Huizhou Dayawan Petrochemical Industrial Park. The new facility would help meet expected demand growth for chemical products in China. The multibillion-dollar project, which remains subject to a final investment decision, would include a 1.2 million tonnes/year ethylene flexible feed steam cracker, two performance PE lines and two differentiated performance PP lines. ExxonMobil’s decision to proceed with the project will be based on a number of factors, including receipt of permits and project competitiveness. Start-up is planned for 2023. The company is also evaluating other chemicals manufacturing projects in Asia to help meet expected demand growth in the region. 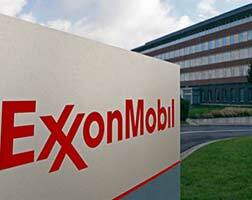 ExxonMobil expects to grow chemicals manufacturing capacity in Asia Pacific and North America by about 40%. That growth will be achieved in part by adding 13 new facilities, including two world-class steam crackers in the US that are part of the company’s Growing the Gulf initiative These investments would enable the company to meet increasing demand in Asia and other growing markets. The company recently commenced operations at its new 1.5 million tonne-year ethane cracker at the company’s integrated Baytown chemical and refining complex in Texas. ExxonMobil and SABIC have also created a new joint venture to advance development of the Gulf Coast Growth Ventures project, a 1.8 million tonne ethane cracker currently planned for construction in San Patricio County, Texas. The facility will also include a MEG unit and two PE units.